CALM Energy adds to its deep portfolio of patents with USPTO’s approval of its ‘Dynamic Contingency Avoidance and Mitigation System, U.S. Patent No. 9,395,707. This patented invention reflects our expertise in applying machine learning based decision support systems for electric utilities in need of managing Distributed Energy Resources (DER). The invention drives utility decision support systems towards probabilistic machine learning based reliability analysis, taking into consideration the health of electric grid assets, and provides a means to measure and manage DER for the reliability of the electric grid. CALM Energy, Inc. has been chosen by NYCEDC’s RISE:NYC initiative to deploy CALM Energy’s Energy Watchdog product with clean distributed generation for small businesses impacted by super storm Sandy. CALM Energy, Inc. has been selected by the New York City Economic Development Corporation (NYCEDC) RISE:NYC initiative to enhance the resiliency of small businesses in New York City by deploying its CALM Energy Watchdog™ product at multiple locations. Energy Watchdog™ is a smart controller that maintains ongoing awareness of building conditions, weather, and the state of the electric power supply. It uses that information to manage generators, HVAC equipment, lighting, and other building systems so as to improve energy efficiency, reduce costs, and mitigate the impact of power outages. CALM Energy will deploy clean distributed generation with CALM Energy’s adaptive control system at multiple buildings, offering resiliency to the buildings where the technology is deployed. The product will also provide the opportunity for individual buildings to interact with electric utilities’ demand response programs automatically, improving the resiliency of the grid used by all New Yorkers. Through the use of machine learning and lightweight integration with widely available off-the-shelf products, Energy Watchdog™ makes sophisticated energy management available to the operators of small and medium sized commercial buildings. “We’re excited and thankful to have been awarded the opportunity to serve Sandy-impacted small businesses by installing our smart node technology with onsite generation ” said John Johnson, CEO of CALM Energy. “We look forward to helping these small businesses in becoming more resilient and energy efficient”. CALM Energy, Inc., a New York City based smart grid technology company, was founded in part by Columbia University’s Center for Computational Learning Systems, with the objective of commercializing machine learning based smart grid technology, and is a trusted and innovative partner to building property managers and electric utilities. In addition to Energy Watchdog™, CALM has developed and deployed analytic and predictive systems that help utilities predict impending component failure, take remedial action, and minimize cascading failures. CALM Energy adds to its deep portfolio of patents with USPTO’s approval of its ‘Decision Support Control Center’ patent# 8,972,066 shared with Columbia University and Con Edison. The patented invention reflects our leadership in developing an integrated decision support “cockpit” or control center for displaying, analyzing, and/or responding to, various events and contingencies that can occur within an electrical grid. CALM Energy’s affiliate, CALM Water, is awarded a European Commission Smart Water demonstration project to demo its C2SOS Platform and Energy Optimization Controller with four water utilities. With CALM Water we intend to further build the functionality of our SUM Platform and Smart Node Controller Products. The European Commission gave the “SmartWater4Europe” proposal one of its highest ratings for depth of innovation and the strength of the European based team. The focus of the demonstration project is to apply CALM ‘s existing smart grid software developments for biological contamination, water leakage detection, and water system energy optimization using CALM’s Command and Control System of Systems (C2SOS) SUM platform software. Strenthing intellectual property protection for our demonstrated contingency analysis software module of our C2SOS decision support platform developed with Con Edison, U.S. Patent 8,543,405 was issued by the U.S. Patent office. CALM Energy’s contingency analysis software allows utilities and microgrids to predict in the future, through machine learning of grid simulations, resiliency concerns to the grid and provides a means to mitigate these vulnerabilities. CALM Energy obtains a U.S. Patent on selling differentiated electric grid service reliability. Our Watchdog Smart Node controller and targeted demand response module of our C2SOS platform products include the technology of our patent “Systems and methods for operating electrical supply”, U.S. Patent Office #8,521,337, which holds promise in transforming the electric smart grid by providing customers what they have not been provided in the past – choices of electric service reliability to save them money. With our patented Smart Node technology, we enable a revolutionary type of customer demand response with no Customer Base Line (CBL) calculations and through NIST standardized interoperability between our Smart Node controller and the utility or ESCO, we allow buildings, electric vehicles, and electrical appliances to decided what level of reliability they are willing to pay for. As an example, a neon advertising sign outside of a building with our smart node controller technology can automatically sign-up for non-firm renewable electric power, which will automatically interrupt its use of electricity when communicated that renewable power is unavailable on the grid. As another example, if a manufacturing plant that needs to be ultra competitive in the global marketplace doesn’t need five-nines of electric service reliability (99.999% electric service availability) for 1/2 of its peak electric loads, the manufacturer can purchase non-firm electricity for loads above a certain level that can be interrupted if electric supply becomes unavailable or the distribution grid experiences an abnormal contingency situation, enabling the manufacturer to reduce electricity costs from the flexibility in its electric demand that would result in the business becoming more profitable and competitive. “With this technology”, according to John Johnson, CEO of CALM Energy and twenty year veteran of one of the nations largest electric distribution companies in North America, “the overall T&D electric grid becomes more reliable, while costly electric grid infrastructure upgrades, traditionally needed to meet growing peak load demand, get deferred or eliminated, and just as important the entire grid becomes more energy efficient as a result of this higher utilization”. The drive towards energy efficiency, one of the most pressing initiatives to obtain environmental sustainability are made possible through this grid efficiency enhancing technology both by raising the utilization of more efficient generation and by reducing congestion in the distribution and transmission grids that exist today. The smart node technology development and demonstration was part of the U.S. Department of Energy demonstration with Con Edison of New York. CALM Energy successfully demonstrates its Targeted Demand Response, Vulnerability Simulator, and Watchdog Smart Node with Con Edison of NY to the U.S. Department of Energy as part of the Smart Grid Demonstration Project. U.S. Patent #8,458,723 describes technology which enables our proprietary BPM software to efficiently communicate with millions of nodes on the electric grid needing actionable guidance for demand response. As electric grids migrate towards a two way system with ubiquitous machine-to-machine demand response, this technology will allow electric utilities to orchestrate load curtailment down to the appliance level over millions of customers to improve reliability, energy efficiency, and safety of the electric smart grid. This technology was demonstrated as part of a U.S. DOE smart grid demonstration project. CALM Energy enters into agreement with CEA List and Infratech to create CALM Water, SA. CALM Energy has been selected by NYSERDA to further develop its Targeted AutoDR product offering for mid-sized commercial customers. December 1st, 2011– CALM Energy, Inc. announced today that it has been selected by NYSERDA to further develop its Targeted AutoDR product offering to complement its utility based ISM Decision Aid platform for the electric utility industry. “Through our integrated ISM decision support platform, the additional value of providing a targeted demand response product offering for utilities to target customers to respond to system emergencies and to reduce their peak load”, according to CALM Energy’s CEO John Johnson, ” will enable the utility to improve its reliability, while keeping capital costs down”. 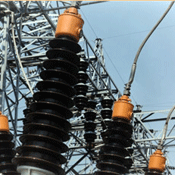 Demand response and risk management software solutions for smart grid operations. Intelligent decision aids for integrated transmission and distribution system asset management. Micro-grid decision support systems that leverage interdependencies with the utility and electric market place. CALM Energy, Con Edison, and Other Partners have been selected by the Department of Energy to receive $45 Million for a Smart Grid Demonstration Project in New York and New Jersey. CALM Energy partners with Consolidated Edison, Inc., The Boeing Company, The Prosser Group, and Others to Develop and Demonstrate a Smart Grid for New York City. August 31, 2009 — CALM Energy, Inc. announced today that it is partnered with Consolidated Edison of New York, Inc. , Columbia University, The Boeing Company, The Prosser Group, and other energy experts in filing for smart grid stimulus funds from the U.S. Department of Energy (DOE). Con Edison leads the team requesting approximately $46 million to help fund smart grid demonstration projects in the New York and New Jersey areas. Risk management for smart grid operations using machine learning. Intelligent decision aids for integrated transmission and distribution systems. Behavioral analytics to support intelligent demand-side management. Founders of the CALM Energy have Published their book “Computer-Aided Lean Management for the Energy Industry for delivery”.